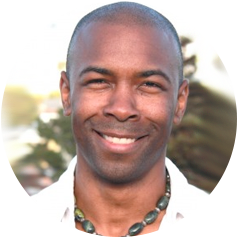 TruthLoveEnergy is the online community created by my channeling mentor, Troy Tolley. Whereas I am a “new” channel, Troy is a veteran. I feel quite lucky to have a mentor such as Troy who is supportive of other Michael channels, and it is a gift to be able to cross-reference my own work against his, as I grow as a channel. This community is all about the study of the Michael Teachings and how to learn and grow from the information through validation and application. There is a ton of free Michael channeling shared on this site, as most of its active members regularly post their private transcripts and reports so that everyone can benefit from Michael’s insights. There is also a large library of transcripts from the past that is in the process of being added to this new site. You won’t find this much direct Michael channeling anywhere else online, as far as I know. Also, Troy offers a number of channeling services ranging from private chats with Michael and reports to group workshops and channeling events with Michael. If you are drawn to study Michael’s teachings, I highly recommend visiting and exploring this site. Barry is the host of this site, and he has some great information here about the basics of the Michael Teachings. Not only does he have a good grasp of the basics and is able to communicate it quite well, but he also has pictures and illustrations that help with the learning process. Check it out, and enjoy! Besides TruthLoveEnergy, this is probably the largest Michael Teachings website. Many channels contribute to the information that you can find on the site. It is a great site for gaining a general overview of the teachings and getting a great deal of general information about the basics. It’s definitely a great resource when you are just beginning to study the teachings, and I encourage you to take a look. Cheers! Astro-dienst is the first astrology site I recommend to anyone beginning to study astrology. There is a wealth of free information here, tutorials and articles about astrology. Once you register to the site (it’s free! ), you can input your own birth information, after which, you have immediate access to your natal, transit and progression charts, along with sample interpretations for the various elements in those charts. It can take some time to figure out how to navigate and use the site and how to educate yourself about astrology through the site, but I believe it could be well worth your time and effort. You Are Psychic: The Free Soul Method by Pete A. Sanders, Jr.